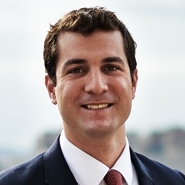 Robert Sanzillo is an associate in Herrick’s Litigation Department. He focuses his practice on a variety of issues arising in general litigation, from contractual disputes to malpractice claims. Rob received his law degree from Fordham School of Law where he was a member of the Urban Law Journal and Moot Court. He also served as the chairperson of the Dispute Resolution Society. Before attending law school, Rob played professional baseball for the minor league affiliates of the St. Louis Cardinals.